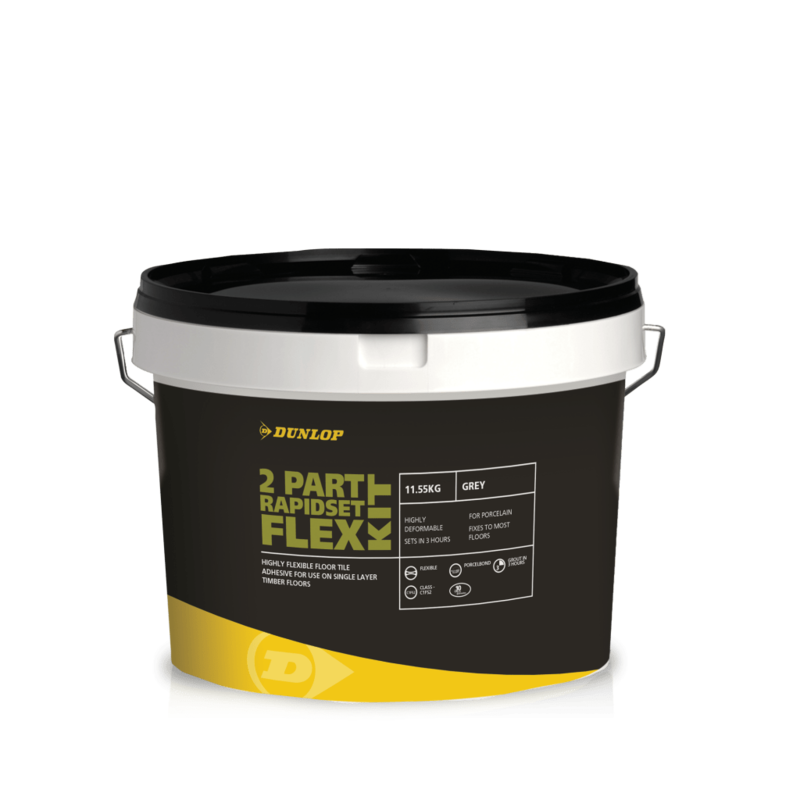 DUNLOP 2-PART RAPIDSET FLEX is a 2-part highly flexible, water resistant, rapid-setting floor tile adhesive suitable for most backgrounds, particularly moisture stable timber based boards, tongue and grooved floorboards and also concrete and screeds. Suitable for fixing ceramic tiles, non-translucent natural stone, fully vitrified and porcelain tiles. Sets in 3 hours. 11.55kg kit of DUNLOP 2-PART RAPIDSET FLEX will fix approximately 3m2 based on 3mm bed depth (depending on trowel used).